Nim and his new partner landed with a thud on the windowsill of a quiet house in the country. “Here we are!” said Nim. 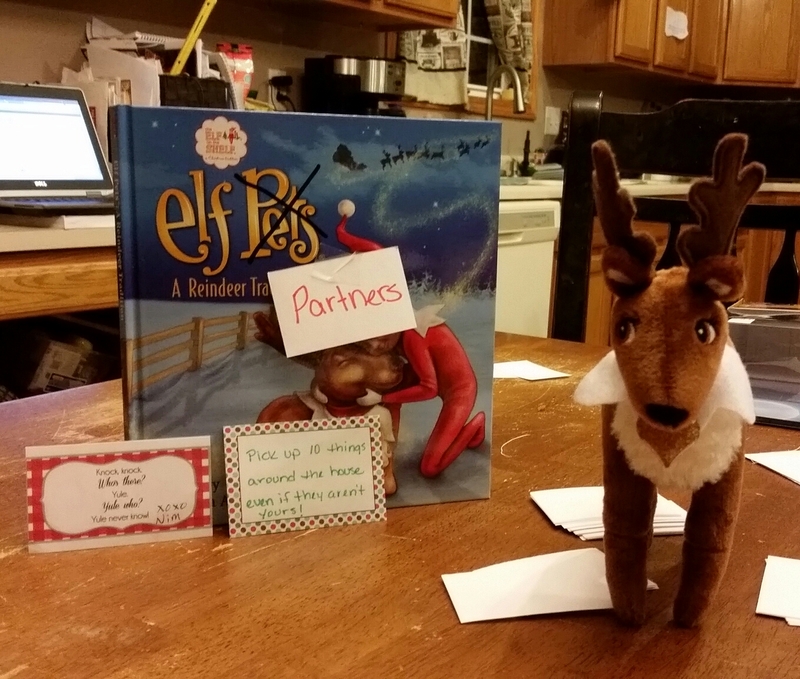 His new partner was a small reindeer with a fur collar and a determined glint in her large brown eyes. She stood stiffly on the edge of the window sill. “Yes. Well. Here we are,” she said looking at Nim expectantly. Nim smiled his brightest, most winning elfin smile and led the way inside. The reindeer pranced slowly around the kitchen counter, taking in the splendor of the tree and lights decorating the house. “This is nice,” she said finally. Nim, not one to back down easily, narrowed his eyes at her. Nim looked at her doubtfully. 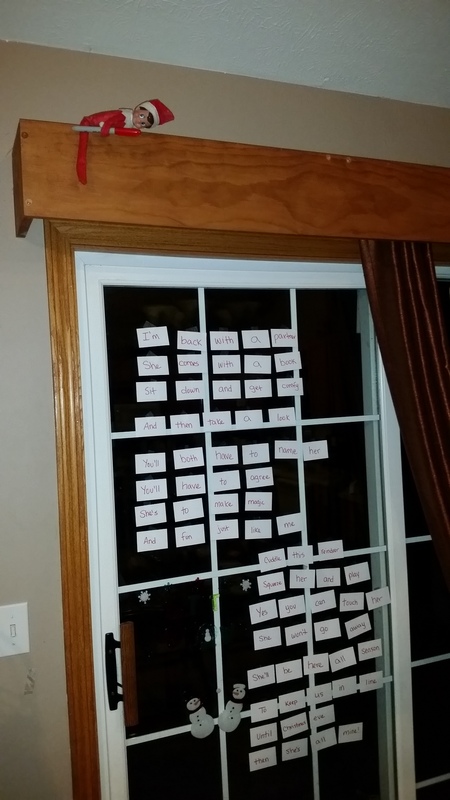 While she was talking, Nim had pulled piles of notecards out of the desk drawer and was busy putting them up all over the sliding glass door. The poor, shocked reindeer stared open-mouthed at Nim as he busily scribbled the welcome message…one word on each scrap of paper. I’m back with a partner! And fun, just like me! “You-you…made a mess! Such a big mess!” she spluttered. Nim looked around the room. 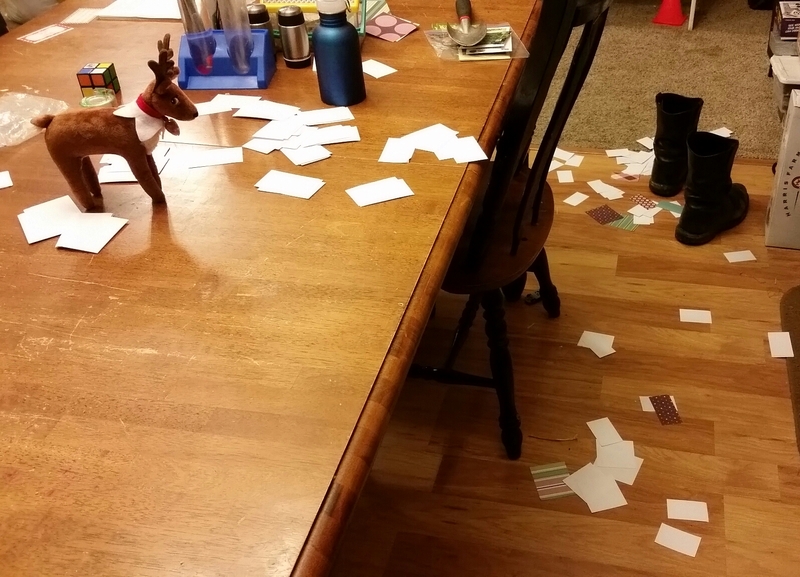 Bits of paper were scattered all over the table and floor. “Well, I guess the first day of the Kindness Calendar should be to ‘Pick up a mess that you didn’t make,’ right?” Nim said with a smile. Nim finished putting the last word up before answering her. 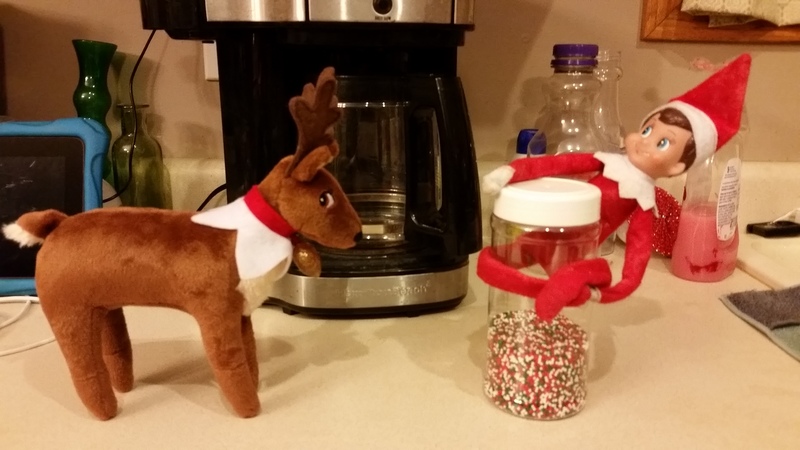 The reindeer had no time to disagree. The sun was coming up over the horizon and they had to get to their places. “Oh, I almost forgot!” said Nim, zipping down to the table to put a small note next to the new book. “A knock-knock joke for the boys,” said Nim. Nim laughed hysterically as he flew to his place. 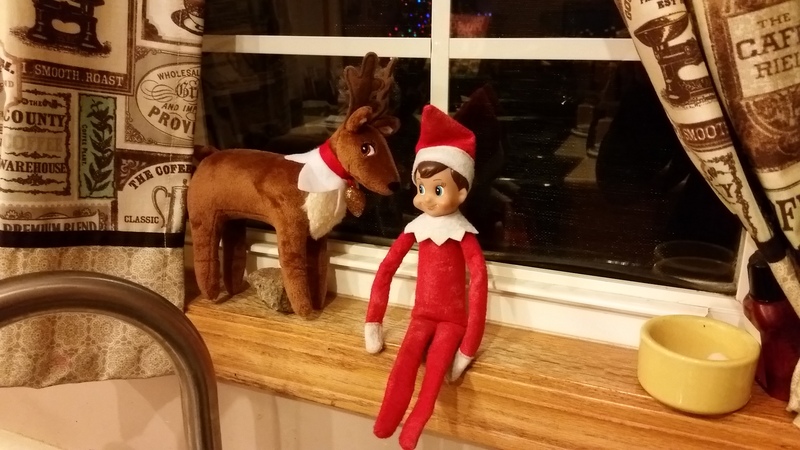 The reindeer looked at Nim nervously, wondering how she was going to make a good impression on Santa with such a mischievous and silly partner. This is very good. Ggramma. Thank you! I like Nim’s new partner.